Tyre review data from 5 tyre reviews averaging 88% over 38,005 miles driven. Positive - Excellent in the wet, good aquaplaning resistance, comfortable, well priced. Negative - Long dry braking and poor dry handling. Sorry, we don't currently have any questions and answers for the Uniroyal MS Plus 77. Why not submit a question to our tyre experts using the form below! 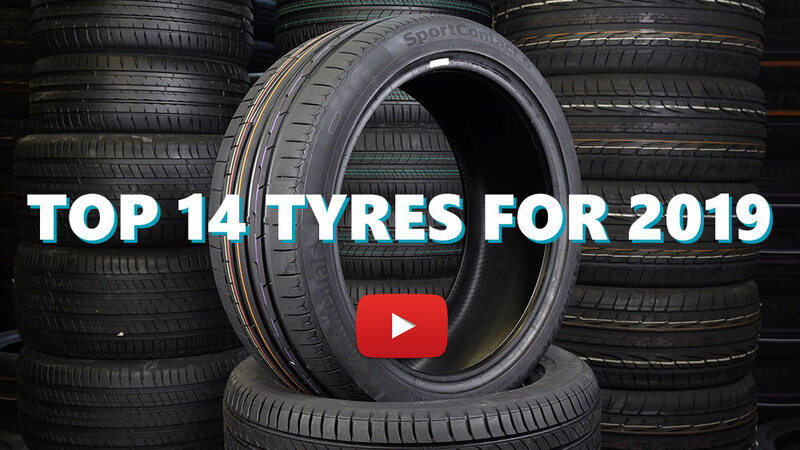 Available in 66 tyre sizes - View all. Best tyre for British conditions I've found. Much better that my GoodYear Ultragrips 8s which could do snow but were poor on British cold roads (dry and wet). Have you driven on the Uniroyal MS Plus 77 tyre? Please help millions of other drivers make an informed tyre choice and pick the correct tyres for their car by submitting your review of the MS Plus 77. Every week I drive about 300 km in central Europe, mostly on highways, but also local roads up and down the hills and a flat city streets. Those Uniroyals represented a good choice, being well balanced between quality/price and very important wet and thin snow grip that MS + 77 is performing great and above expectations. For Saab 9-5 NG it is recommended to pump them 2,6 bar, however I find 2,8 bar is an optimum for this tyre/car combination. Dry grip and dry breaking is somewhat different from summer tires, but not disturbing or alarming even on a warmer asphalt. Once I had to break harder in a situataion (140 km/h down to 60 km/h) on the warm road and that went without an effort and no need for ABS to kick in. On a very wet road it goes through water smooth and there is not a single occurance or an indication of aquaplanning. Driving in a wintery city conditions where sometimes the temperature goes well below 0 and roads are icy and wet feels safe and a well adopted tyre to such mixed conditions. It also takes no effort to roll over fresh, thick and wet early morning snow covered streets and driving feels solid without slipping. That said, it also depends on a car's electronic antislip system. Wear is, to my driving style, a tyre's big surface, car's a weight and power (190+ HP) very reasonable, if not below expected. Car behaves in winter conditions speeds on a highway almost as good my summer tyres set of Dunlop Sport Maxx RT 2 in a summer. Car appears very stable and quiet at speeds of 130 -160 km/h while up to 160 - 200 km/h one can feel deeper grooves and road noise gets higher, so for short bursts over 160 km/h it is ok, but not too sustainable. I can see that in a with summer tyres, car consumes an average 7,2 l/100 km while in a winter consumption goes up to 7.6 l/100 km, but a part of that can be contributed to the other factors (cold air, compacted snow, ice, water, wind). I would warmly recommend them to those who do not want to spend 35% more for the very premium brand, without very clear benefit. For the past 5 winter seasons my set was Dunlop SP WinterSport 4D and there is no noticable difference, except in price. I hope that MS+ 77 will last as long and be reliable as it was so far. Only had these tyres on the car two weeks, so cant really comment on wear other than we the Plus 66 on my wifes car and then are. The wet grip is unbealievable, driving on a motorway last weekend in driving rain and standing water, normally standing water "drags" the wheel none of that with the Plus 77 cut through it like a hot knife through butter. Very safe tyre. Got a set of these in a hurry in December to go on winter road trip in my BMW. The effects of the switch from a set of Dunlop sport summer tyres was obvious. Softer side walls dull the steering response. Road noise is high but typical for a mid range tyre. The fuel consumption increased by about 3MPG. However dry grip available is amazing. Deep treads and its pattern deal very well with puddles. The investment really starts to pay off when things starts to get icy. At the time of writing, this set of tyres saved me from 5 ditches and 2 walls and many more other cars & pedestrians. The first time I noticed these tyres paying for itself was when I navigated in to a lay by in a freezing morning a little too fast. It was sheet ice and there was a HGV parked up ahead of me. I stamped on the brakes and these tyres managed to muster enough grip to get the ABS going and stop the car. I foolishly decided to get out and check, only slip & to land on my arse. If it were not for these tyres I would be under that HGV. I can seriously recommend getting decent winter tyres like this for any car. These save lives, property and hours of wasted time. Rear wheel drive cars can be dicy during winter but now I'm more concerned about other cars with inappropriate tyres crashing in to me. If you are going to keep the current car for another few years, just buy a set of these. Most UK tyre sellers now offer the "Tyre Hotel" facility to store the other set of tyres. First time on winter tyres this year, cold and wet but no snow or ice to really test these, however, they are almost like driving on a warm dry road! The wet grip is fantastic, even when it's 2 degrees outside. Very glad to have swapped for these in the winter and I am now a winter tyre convert. I've only done a few thousand miles so difficult to assess wear rate but I see a lot of tyres in my job and they're not wearing unusually fast or unevenly.